The Voynich Manuscript is often hailed as one of the most mysterious books in human history. Voynich manuscript is named after Wilfrid Voynich, a Polish book dealer. The manuscript is 250 page long, despite its diminutive appearance it contains profound topics such as medicine, astronomy, spirituality, and alchemy. 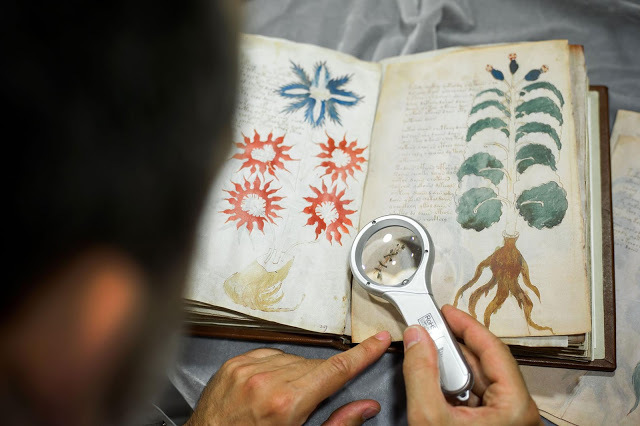 Up to this day, no one can fully understand the contents of the book, even the world's greatest codebreakers failed to decipher the contents of the Voynich manuscript. Many studies have been conducted and they have concluded that the book was written around the early 1400s. The original author of the book is unknown, and it has no official title too. There are speculations that the book may have written by powerful alchemists. According to some researchers, Roger Bacon may have written the Voynich manuscript. Conspiracy theorists suspect that the book was probably from an extraterrestrial origin, they noted a certain page that bears resemblance to the image of a spiral galaxy. The language present in the Voynich manuscript is still a mystery. Up to this day, many have attempted to decode the meaning of the mysterious passages written in an 'alien' language. 3 years ago, A linguistic professor named Stephen Bax claimed to have decoded 10 alien words in the Voynich manuscript. The book is currently stored at Yale University library since 1969.